For men, growing and maintaining long hair is a commitment—it takes time to grow it out, and maintaining long hair can be a bit more work than a shorter style. One of the hardest style changes for the long-haired guy to make is going from long hair to short hair. If you've got long hair and you are considering going short, here's how and when to do it right. There are many advantages to having short hair—short hair can be much easier to maintain and generally requires less product. It can also be cooler in warm weather (hair holds in heat) and less hassle for guys who lead an active lifestyle. Of course, the downside is that shorter hair requires more frequent trips to the barber or stylist to maintain. Changing your hairstyle is also one of the best (and cheapest) ways to freshen up your look and get noticed! Before you plan on cutting your hair short, if you are going from very long hair to very short hair, you may wish to consider cutting it for a ​hair-related charity, such as St.
Baldricks' or Locks of Love. There's no better excuse to change your look—if you're willing to go bald. A lot of guys get stuck wearing the same hairstyle forever because of the fear of change—which is funny because guys are supposed to be fearless, right? What if we look funny or people make fun of us? 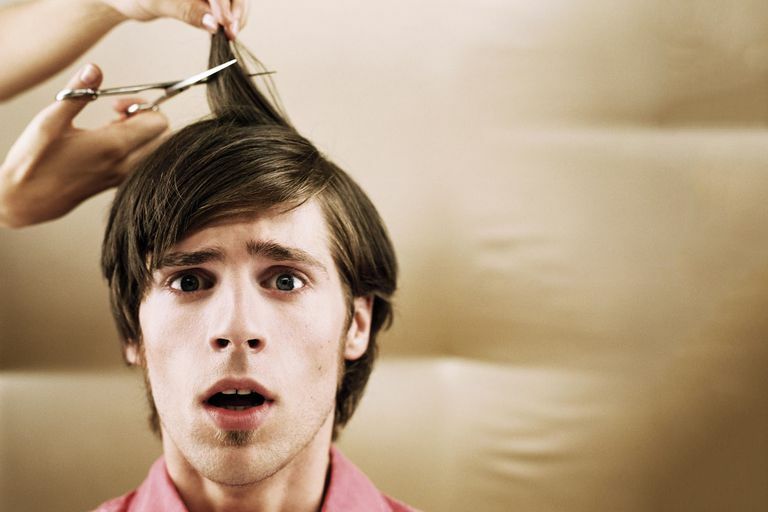 The thing to keep in mind is that getting a haircut isn't a life-threatening experience. If you don't like the change, you can always do something different—hair grows back. Choosing the right short haircut isn't as easy as you think. A haircut can enhance your best features and minimize your weak spots, so it's important to know the best haircut for your face shape. You should also take your lifestyle into consideration. That mohawk might look cool, but is it appropriate for the office? If you have done some research and are still unsure of what style will work for you, make an appointment with your barber or stylist, who can guide you in the right direction. When making your appointment, you may wish to mention you are planning on making a big change and may need a little extra time deciding. Before going into your appointment, browse photos of hairstyles and pick a few that you like. Save them to your phone and show your haircutter what you like. Your barber or stylist may not be able to give you the exact haircut (depending on your hair type and face shape), but they will be able to use what you're looking for to create a style that is similar yet still works for you. Going from long hair to short hair is a big step, but it really is a great way to change things up and start fresh.